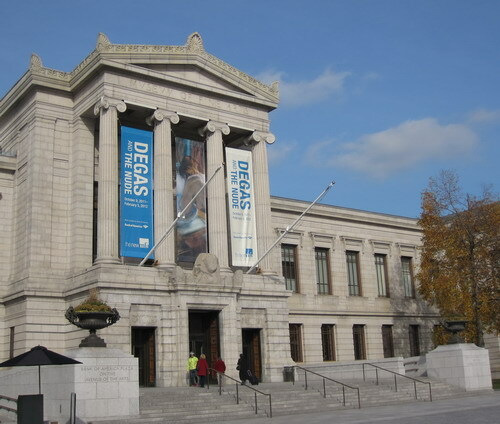 When I lived in the Boston area, from 1989 to 2003, I visited the Museum of Fine Arts often and knew the layout and collections pretty well. 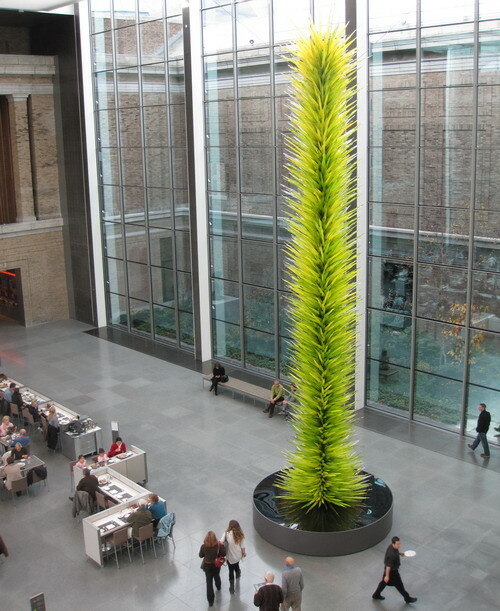 Returning to the MFA recently was like visiting an old friend who had struck it rich but was as likeable as before. From November 2010 to September 2011, the museum grew by about 200,000 square feet, first with the Art of the Americas wing and then with the smaller but also wonderful Linde Family Wing for Contemporary Art. Everything was familiar, but different. Before I go further, let’s discuss the rules, summed up succinctly below in the neon installation “Please” by Danish-born artist Jeppe Hein. Delightful, playful, informative. Love it! In the Art of the Americas wing, I gave up trying to find my place and just enjoyed the 53 (!) galleries, including nine period rooms that are like little extra museums. The more than 5,000 works shown more than double objects previously displayed. About 500 are new, 175 are loans and the rest had been stashed in the basement. The European art was moved around enough that it took me forever to find my favorite Van Gogh, “Lullaby,” a painting of Madame Roulin, the postman’s wife. But where I was when I found it I had no idea. Clearly I’d need to spend many more afternoons here. In the contemporary wing, which tripled the space of the previous area and shows 250 works in seven new galleries, I was thrilled to find my favorite Kiki Smith, “Lilith,” hanging from the wall as always, along with many more purchases and loans. The last rooms we entered held a special show, 30 of Ellsworth Kelly’s wood sculptures, spanning his career. (It’s up through March 4.) Unlike his colorful paintings, these are natural wood tones, sparse and elegant. 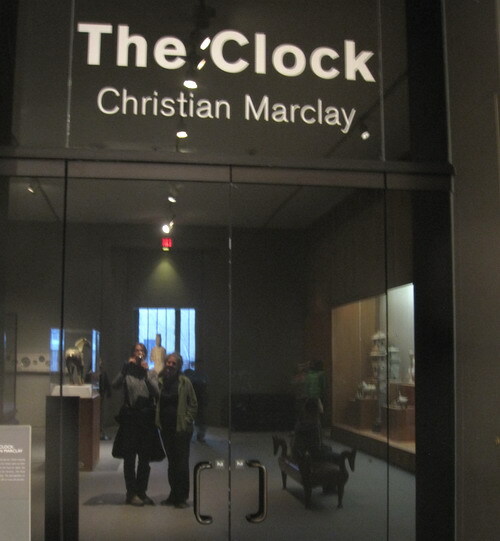 Before we left, we watched 30 minutes of “The Clock,” a 24-hour video by Christian Marclay that apparently is no longer at the MFA. (FIND IT AND SEE IT!) The compilation of thousands of movie and TV clips of clocks and watches tells the current time at any given moment and is synchronized with real time. While there’s no plot, we were hard pressed to leave our seat, waiting to see how, for instance, 1:42 p.m. will be depicted. While we were constantly reminded of the time, it still got away from us.